Weddings between Christmas Day and New year are so popular nowadays. They are great to photograph because everyone is in great form and the homes and hotels are all decorated for Christmas! Nicole and Luke asked The Portrait Room to be their wedding photographer and cinematographer for their wedding in Tulfarris Hotel Resort in Co Wicklow Ireland. My self and Chris (videographer) nice and early to capture all the bridesmaids getting ready. Nicole wanted to visit her Nana who unfortunately would not be able to make the wedding. Una and Peter chose Clonabreany House in Co Meath Ireland as their wedding venue after traveling all over Ireland looking for the perfect Irish venue. Una had originally wanted to get married on Achill Island in Co Mayo as that is where her family are originally from before emigrating to England. The fact they were bringing so many guests from England with them for the wedding was one of the main reasons they chose Clonabreany as they would be able to “take over” the incredible venue! Hayley and Alan's wedding Slideshow. Alternative wedding in Powerscourt Resort Hotel and Wicklow Gaol. Wedding photography by Roger Kenny. The Portrait Room Greystones Co Wicklow Ireland. 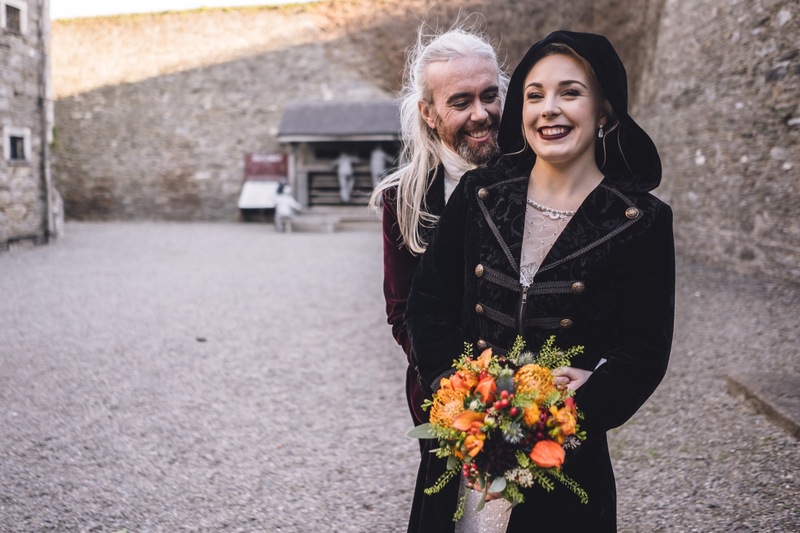 What could be more romantic than hiring your very own castle in Ireland for your wedding… that is exactly what Darina and Pete did for their wedding. The other amazing thing they did was organise it all in 4 months! When I first received their email looking to book me as their wedding photographer at Slane Castle I thought they must have the wrong year. When Pete got in touch with me his email was just perfect and I knew whatever the year I wanted to be there to capture their wedding photography. This summer was just full of amazing weddings. This is Michelle and Barry’s wedding photography from the start of the Summer. It started in Gorey Co. Wexford at Michelle’s family home. I love the photo of Michelle’s wedding dress hanging up in her living room. Not a shot I love taking but in this case her father is looking at his own wife’s wedding dress. Michelle’s dress is in the centre and her sister’s on the left. Wedding photography is all about family and this house was the perfect family home. Welcome to the unforgettable wedding of Kim and Mick in the unmistakable surroundings of Ballybeg House Co Wicklow Ireland. I absolutely loved being the wedding photographer for this amazing couple. Kim and Mick decided to have me start at the ceremony so, rather than getting the usual bridal preparations I started the wedding photography just before the ceremony began. Mick looked dapper and smart in his crushed blue velvet dinner jacket and dicky bow. Welcome to the wedding of Elaine and Karl! What an amazing day we had in the rolling hills and beautiful countryside of Co Wicklow at Druids Glen Resort. The morning started in Elaine’s home where myself and Chris arrived nice and early to get all the bridal prep wedding photography. What a great day andnight we all had in Co Wexford for the wedding of Grainne and Conor in Kilrane Church and Dunbrody House. It was an absolute honour to be asked to be their wedding photographer. Especially as they were organising their wedding from London. Welcome to the wedding of Eimear and Fergal! This wedding was a real highlight of my Summer. Eimear and Fergal have been so great to work with on the run up to their wedding in Clonabreany House. I really wanted to make sure everything was perfect for their wedding day. Eimear is a real planner and loves the details! When you meet Aoife and Martin for the first time you notice something very quickly about them.... they are very in love! But not in a soppy way... very much in a way that they just want to laugh. They want to laugh and they want you to laugh too! Their wedding in the incredible Ballybeg House was just that... incredible! What a beautiful wedding this is! Niamh and Phelim got married in Oldcastle and then went to the stunning Crover House in Co Cavan. The morning started in Phelim's family home where himself and his four brothers were getting ready then it was on to Niamh to another full house of activity and preparations! The sun shone all day and the party went long into the night. This was such a great wedding to be at, working or not! 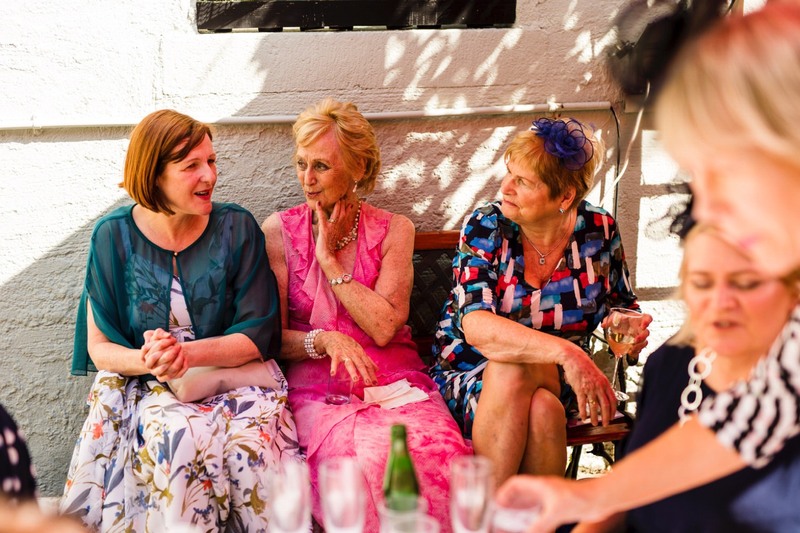 Susan and Elis have such a laid back style and their friends and family made their wedding more like a party! The wedding ceremony took place in City Hall and Susan arrived in style by Green Rolls Royce. After the ceremony we went into Dublin Castle where the University of South California (USC) marching band where putting on a show. When Audrey and Marcus contacted me from Australia to be their wedding photographer I knew we would be a great match. This real easy going couple, big into their music, wanted to have a relaxed day with their friends and family. At Audrey's home in Bray everything was so chilled. Everyone got very excited when the VW Camper-van turned up at the house to bring the bridal party to Barberstown Castle! This was an Irish Brazilian wedding with some bossanova and carnival style! Erika and Shane had a civil ceremony in the unbelievably beautiful Tinakilly Country House Co Wicklow Ireland. Many of Erika's friends and family traveled from Brazil for this stunning wedding. In true Irish fashion the day started out a little wet and overcast but by the time we went outside to the family photos the sun began to creep out! This is the story of Carly and Sam who traveled from San Francisco for something very special in Ballybeg House Co Wicklow Ireland. Nearly all my communication was with Carly's Mum - Suzy. From the start I knew this was going to be a very special day and had to be involved... "We are a group of 13 revellers traveling from just north of San Francisco, California to Ireland for my daughter's wedding at Ballybeg house". Amanda and Eamon's wedding in Ballybeg in Co Wicklow Ireland was all about family. Their family! I had such good fun going from Grouse Lodge to Ballybeg House trying to capture this shy couple before their wedding. But when they are together there is nothing shy about them at all! The day was full special moments and the ceremony had the most beautiful vows. Tinakilly Country House in Co Wicklow was the amazing setting for Emily and Brian's spring wedding. The morning was spent in Emily's family home in Dun Laoghaire with her close friends and family. While Brian got ready with his family in Tinakilly. Then it was on to the beautiful Kilquade church. Katy and Scott's wedding on St Patrick's Day in Ballybeg House was just sublime. There was so many things happening on this day yet Katy and Scott remained cool as cucumbers. From their first look in Grouse Lodge to the late night dancing. It was honour to be part of their day from our first meeting at my studio, The Portrait Rooms in Greystones to their pre wedding shoot they were just a pleasure to deal with.